Christmas is all about ritual, from decorating the tree and hanging up stockings to eating turkey and watching The Snowman again and again. There are so many classic seasonal songs, films and stories that it is rare when a new addition has that warm feel of the old, familiar friend. Which is why I absolutely adore Pick a Pine Tree, which was first published last year and is now out in paperback. The very first time I flicked through the pages and read American author Patricia Toht’s beautiful text, I felt a nostalgic glow that reminded me of my childhood. It’s a new story but somehow it feels as comforting as an old pair of fluffy socks. At the heart of the tale is that simple tradition of picking out a plain pine tree and lovingly transforming it into the household seasonal centrepiece, bringing light into the dark days of winter. When I was little, my dad would take us off to a tree farm to pick out our spruce and I’d just love the smell of the pine. Then we’d go home to dive into the decorations box, unwinding the coloured lights and unwrapped the 1980s glass baubles. I even loved that strange synthetic smell of the tinsel. The spirit of this experience is all there in Pick a Pine Tree. Toht and award-winning illustrator Jarvis really capture the essence of the season with their combination of slow-paced rhyme and retro artwork. Indeed, the images have a soft glow about them that feels like the fairy lights are shining within the book. 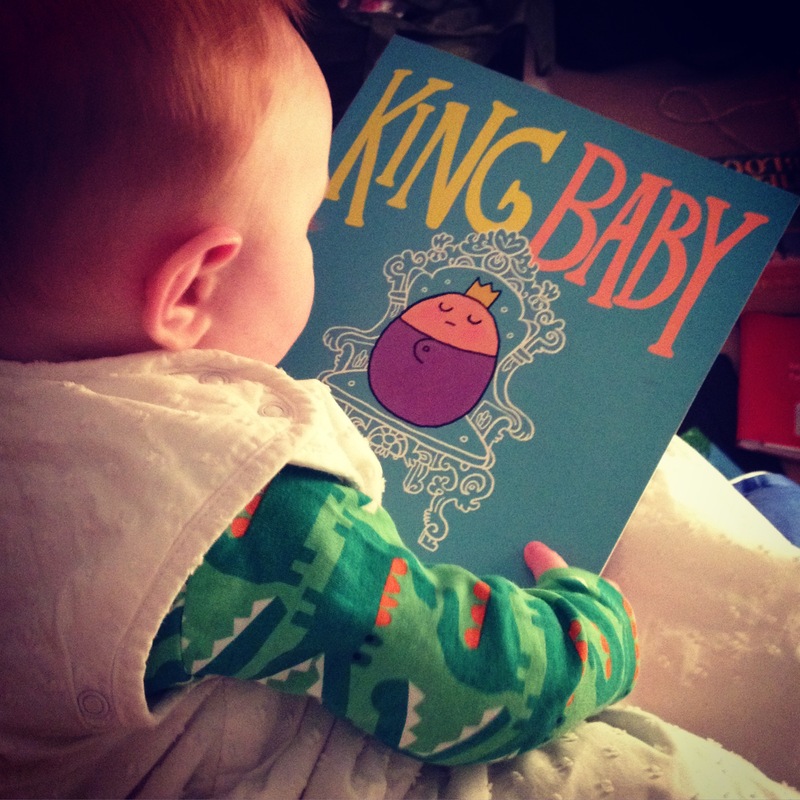 I love it so much, we gave a copy to Baby Bookworm as his Christmas Eve gift from his mummy and daddy last year, a tradition we started the first year he was born and I later discovered is a common ritual in Iceland. Now I hope we’ll read this future classic together every year, preferably under a warm blanket with a tub of Quality Street to hand and our own pine tree twinkling nearby.